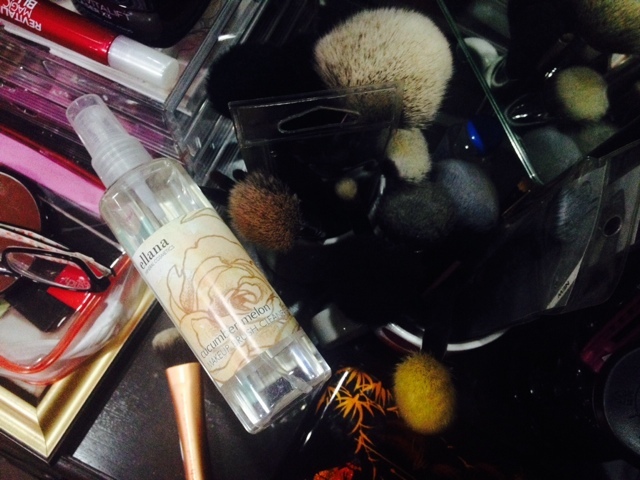 Ellana Cucumber Melon Makeup Brush Cleaner | Vanity and Everything in Between. What's another lazy thing to do aside from removing makeup? Cleaning brushes! It used to be therapeutic for me. But when you're brushing at least 15 brushes in one seating, it's no joke. Your hands start to hurt. I sometimes feel a burning sensation already. I tried brush mats to clean my brushes but I still went back to my old routine of twirling my brushes on my palm and squeeze the heck of an oil from the bristles. 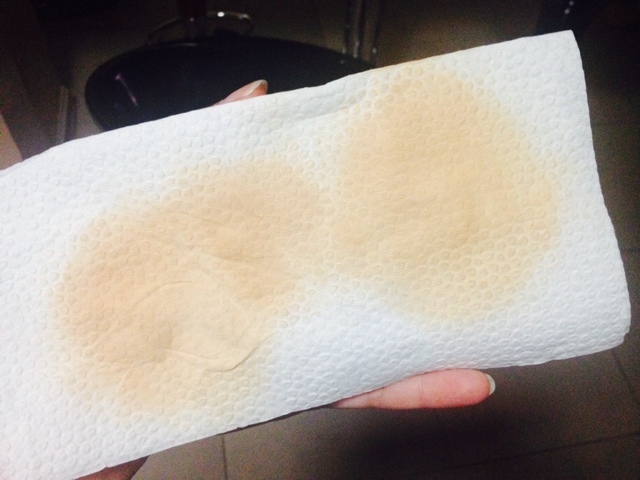 Ellana Mineral Cosmetics comes to the rescue though by offering an instant brush cleaner. It's not really instant but you save more time because you don't need water and soap to clean your brush! My Ellana brush cleaner trying to escape from drowning from my brushes. All you have to do is spray the cleaner on a clean tissue. Two sprays will do. Then start rubbing the brush on the tissue in a circular motion or wiping motion. I wasn't able to take a photo of my RT Expert Face Brush when it was dirty. But the photo above is a photo after I have cleaned it. Not bad, right? Of course, it's still different if you thoroughly clean your brushes rather than cleaning it quickly without water. But Ellana's makeup brush cleaner does the job. This is suitable for makeup artists who are doing makeup on several people in a matter of hours. The scent of this brush cleaner is lovely! Doesn't hurt the nose! It was able to remove a lot of dirt with just two sprays. I love using this lately because I really hate cleaning brushes. 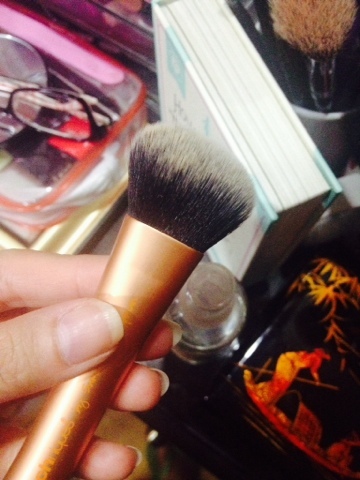 Besides, I've been using mainly two brushes these days - foundation/powder brush and blush brush. I forgot how this costs buy my guesstimate is that it's PhP400 only. Ellana Mineral Cosmetics is available at all branches of The Ramp.